Established by donations from senior Permanent, Reserve and Retired Naval Officers, Keeping Watch is an arm of the RAN Relief Trust Fund which cares for and supports members of the Navy and their dependants. Keeping Watch is Navy’s own charity and an avenue by which all members the Australian Community can provide assistance, by way of philanthropic donations, to those who are serving the Royal Australian Navy and are in financial need. Education or retraining for Navy members, as well as scholarships for their dependants. 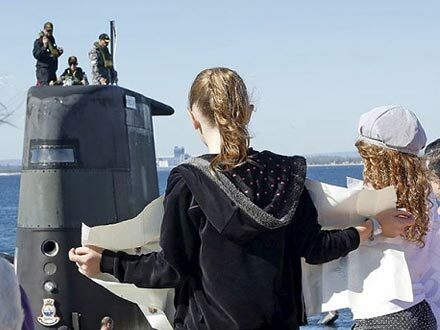 The creation of Keeping Watch acknowledges that while there are numerous sources of support for Australian families in financial need, there are times when short term urgent assistance is required to fill the gaps in existing entitlement systems caused by the unique nature of naval service. Keeping Watch is one means by which members of the naval family can access such assistance. Keeping Watch’s mandate is strongly aligned with and builds on the long held role of the Royal Australian Navy Relief Trust Fund and importantly, all funds raised by Keeping Watch will go to enhancing Navy’s capacity to look after its people.